I Blog Because this is my purpose driven destiny. I love to write. I am not the best writer; I make mistakes. The industry dictates that those who are not strong writers, should not have a voice in journalism or commentary. Despite the opposition, I have continued on pursuing what I love to do. Blogging gives opportunities that mere mortals such as myself wouldn’t ordinarily have. My Blog is my voice, and I am true to it. I have been Blogging for 16 years…. before it was a term. In the beginning, I moderated groups, chat rooms, personal journals, message boards…. basically anywhere people were willing to read what I had to say. My readers identified with my stories. I spent the first 10 years learning how to keep people engaged. I quickly learned that people wanted something different, something that was the opposite of politically correct…. someone who had the courage to voice their quiet thoughts. This is where Blogging was conceived. Back when I first started, my grammar was HORRIBLE! I am sure while reading this essay, you will come across a typo or two. Over the years I have gotten a lot better and am still a work in progress. My loyal readers have been with me from the beginning, and have grown with me. They treat my successes as their own. I refer to my readers as family and/ or my House Cats. They truly believe in me, and I would never want to let them down. Cynics often volunteer their unwarranted advice and state that I should tone done, or not reveal so much about my life. One thing I have learned through Blogging that I can apply to every day life is… every time I changed myself to please someone else, I FAILED. Every instance of someone dismissing me as a Blogger was a green light for SUCCESS. Every time someone presented a roadblock, they got LEFT BEHIND. I was born to Blog…. it’s as simple as that. Either get with it, or get out of the way. When I first started out, I had no clue that my hobby would take me as far as it did. Growing up, I was often stifled by the person who was supposed to encourage me the most. I had someone who was very verbally abusive; discouraging me from following my dreams. Thank God… he presented people in my life who lead a life that inspired me to rise out of the crab barrel. I was so unhappy growing up… extremely depressed. Looking back, I now know that not only was I depressed, I didn’t know I was depressed which is way worse. Writing, as bad as I was at it…. saved me. I used to write poems, short stories, and create greeting cards. Writing was my escape. I spent a great deal of my life being depressed and would sleep a lot. When I slept, I would dream in words and would wake up and write them down. I know what it is to cry while typing. I know what it is to be frustrated, depressed, hoarding, and miserable… without a lifeline. This is where Blogging was conceived. I am a rose that grew from concrete. I am not good enough to work for the New York Times, but I am a writer no less. Every word that I put out into the universe has emotion, it tells a very genuine story. I don’t have to get permission from an editor to publish my work. Where others dismissed me, Blogging embraced me. So I had been Blogging for a while when I started to see people purchasing their own websites. I was slow to jump on board… it took me about 2-3 years to fully embrace Blogging independently. 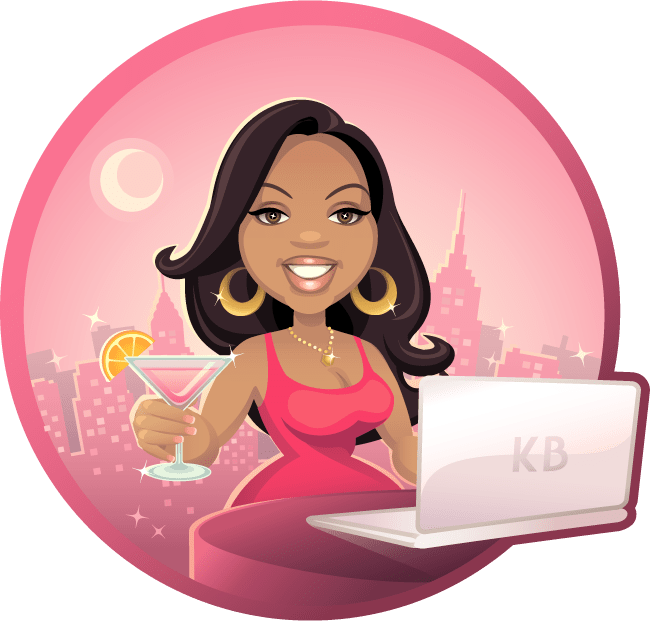 I belong to an online secret society (yes, when you have been online as long as me you tend to know the skull and bone types loll), and some of the members wrote a tutorial on how to make money through Blogging. I read it and took a leap of faith. Early on, I credit Necole Bitchie for being a mentor or “Fairy Blog Mom”. She ran this site called, “The Urban Blogger” that gave newbies like me a forum to get started in Blogging. She gave us tips, and taught us how to play it forward. Playing it Forward is one of the best lessons that Necole Bitchie could have ever taught us; it would go on to be one of the important keys to my success. I launched my website soon after I moved to New York. I didn’t know it at the time, but New York is the Blogging capitol of the world. It is extremely competitive here. 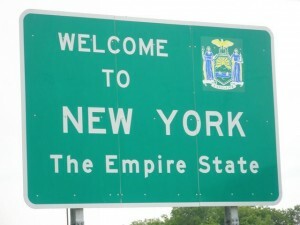 If you can mange to get recognized and make a name for yourself in NYC, you have arrived…. doors open up for you everywhere. My Blog started out being a personal journal filled with random thoughts and stories of me navigating around New York. I am very business minded, so prior to me launching my website I created a business plan to guide my steps. I moved to New York not knowing many people. Two weeks after I moved here, I fell in love with a man. This man shared my love of the internet and both fueled and encouraged my blog. Although, originally I didn’t speak about him on my Blog… I used Twitter as a place to chart our ups and downs. He was my very first “Social-novella” that kept my House Cats engaged. Over the years, I have given very honest accounts of my life. Additionally, I have given the supporting characters nicknames. Whenever I get the opportunity to meet one of my House Cats… they often ask about their favorite characters. For example I once had a summer fling with this man, a thug who had 6 kids…. his nickname was, “Thug Love”. He is probably the most asked about person that I have talked about online. For some reason everyone identifies with dating a thug or bad boy type, lolll. 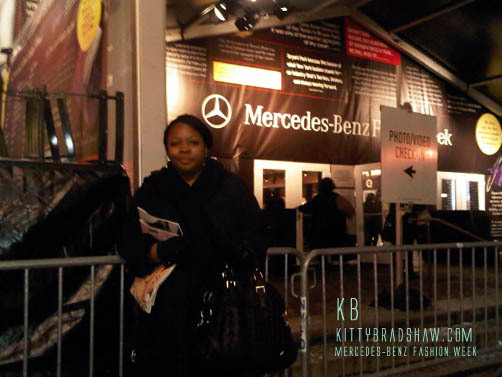 Since the name of the site is Kitty Bradshaw, I mostly talk about me…. it takes a really “unique” person to warrant a Blog post or tweet. Those unique individuals go on to be online celebrities in my world, lolll. After a year of solid Blogging, I signed a one year contract with the GAP. This was back in 2009, when not many companies were signing Bloggers. The GAP was one of the first brands to fully embrace Social Media and Blogger engagement. 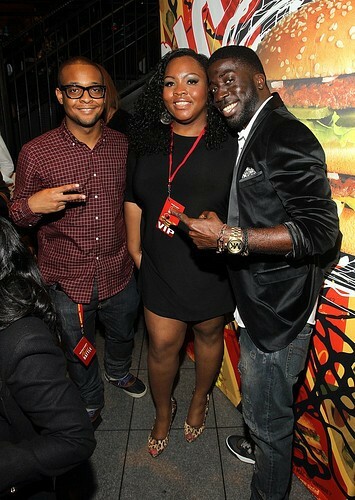 They appreciated my feisty spirit and saw me as the new “Girl Next Door”, loll. My contract ended up lasting for 2 years, and I am so appreciative of them. I did this without the help of “Media Networks and Collectives”. The GAP really put me on the map in the New York social media scene. They made me visible to a larger audience which led me to working with brands like Johnson & Johnson, TJ Maxx, and McDonalds to name a few. As time went on I began to get more and more contracts. Not only was I being contracted by brands, I was being approached to host events. My original business plan didn’t list contacts, Brand Ambassadorships, or event hosting. When I started the Blog, my goal was just to get into a few events and make a little chump change. I guess I wasn’t dreaming big enough. Five years later this site has taken on a life of it’s own; I currently have a contract with Best Buy. From the beginning, I have always been clear on my motives with this site. Kitty Bradshaw is a brand, and KittyBradshaw.com is a business. Everything that I do for the site is a calculated move to generate income. There is a thin line between commercial and personal blogging and I ride it well. I write about brands that I love, and in turn they approach me to work with them on a larger scale. The main objective for my site is to report on New York Lifestyle. Any brand that I work with, or product that I endorse has to be able to fit into my website’s overall theme. I haven’t always stuck to that… all Bloggers at some point stray from their format. I have since learned that when we allow ourselves to stray, we lose passion in the process. I never want to look at Blogging as a job. I need to feel passionate about this website in order to continue on. I Blog because this is a career field that encourages me to be true to myself. The more original, the more honest, the more human (flaws and all) I am…. the further I advance. :-)! Keep doing what you do! I like that you always stay true to your voice whether it’s on the site or online! In addition, you have always looked out for others and provided them opportunities if they so chose to take them! I love this! This definitely makes you transparent. I love your openness. I loved learning where you came from in your blogging career! I’ve always wanted to be a writer since I was little, and being a blogger allows me to fulfill that dream and so much more. 🙂 I love you Kitty!! I hate when people try to dismiss bloggers as writers, I’m glad you pointed that out! You are fabulous Ms. Kitty. Thanks for sharing your story and remaining true to yourself. This inspires me. I know I’m a bit late commenting, but I love your blog! I love how you always keep your voice, and how you interact with your subscribers via social media. Thank you for sharing parts of who you are with us. I can relate to being depressed, and a few other things you stated I was in tears reading that part. I am just starting out in blogging and am trying to find my voice.